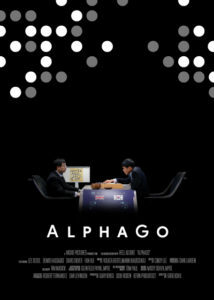 The AlphaGo film will be shown at the WCCC/WCSC playing location on Friday 13 July, 18:00. AlphaGo chronicles a journey from the backstreets of Bordeaux, past the coding terminals of Google DeepMind, to Seoul, where a legendary Go master faces an unproven AI challenger. As the drama unfolds, questions emerge: What can artificial intelligence reveal about a 3000-year- old game? What will it teach us about humanity? The ICGA thanks Google Deep Mind and Ro*Co Films for permitting the showing of the documentary. Due to site limitations and time, there are only 4 spaces left for WCCC. First come first serve, so if you want to enter, now is a good time. Note you can now bring your favorite mouse to use in all three tournaments. The current list of participants is added on a separate page, displaying the tournaments they have joined. You can find this page here: 2018 Chess Events Participants list. When new entries arrive, they will be added to this list. Also an overview page has been added containing an overview list of everything published on the tournament. It can be found under the Chess Events menu too or direct via Chess Events 2018 Stockholm, Sweden. The ICGA is pleased to announce that the World Computer Chess Championship tournaments in Stockholm (July 13th-19th) will have a total prize fund of 5,000 Euro (approximately USA$6,000). [a] How should the 5,000 Euro be split between the World Computer Chess Championship, the World Chess Software Championship (uniform platform event), and the Would Computer Speed Chess Championship? [b] Should the total for each tournament be given as one prize, or should there be two prizes or three? The website for the Computer Olympiad for registration and information is available on http://www.tcga.tw/icga-computer-olympiad-2018/en/. You will find here the schedule for the World Computer Chess Championship (WCCC), the World Chess Software Championship (WCSC) and the World Computer Speed Chess Championship. We have catered here for different numbers of participants, ranging from 7 to 12. The tri-ennial ICGA Meeting will take place in two locations simultaneously – Taiwan (where the Computer Olympiad and ICGA games conference are being held), and Stockholm, with a video/audio link between the two. This will enable members in both locations to participate in the meeting. More details of the championships, including the detailed rules and information about hotels and travel subsidies for participants, will be made available in the near future. There will be an International Grandmaster present in Stockholm to comment on the games for spectators in the tournament hall and online.